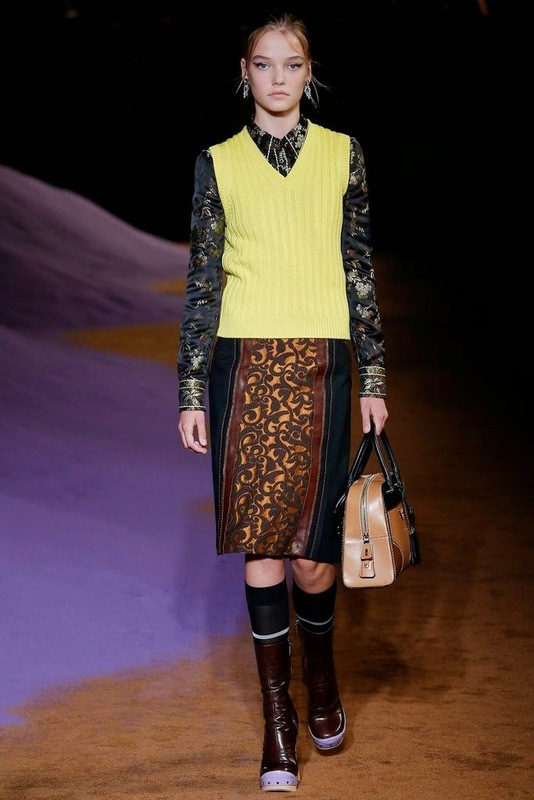 Casting director Ashley Brokaw scored the casting coup of the decade coaxing Australian supermodel Gemma Ward back onto the catwalk for Prada's Spring/Summer 2015 show. 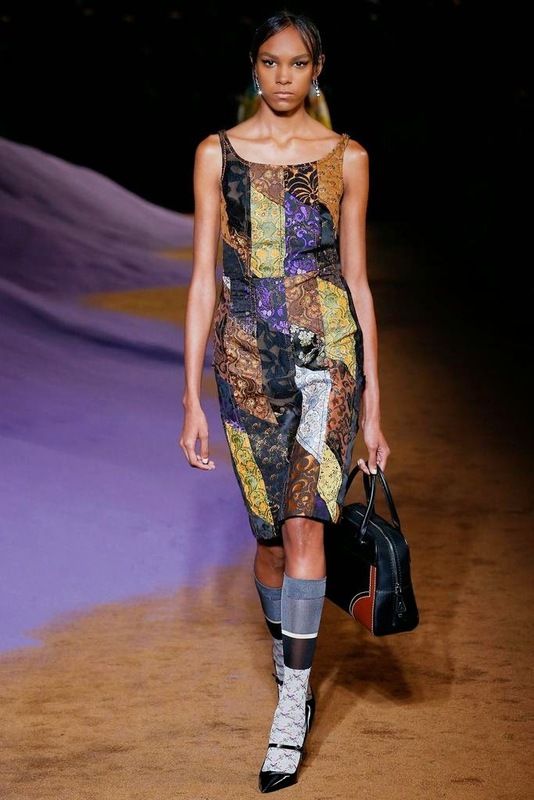 The twenty-six year old Perth born beauty who has not set foot on a runway in 8 years, opened Miuccia Prada's show in fine form signalling a comeback of epic proportions. The IMG-repped model took an extended hiatus from modelling to pursue acting and recently gave birth to a baby girl Naia earlier this year. 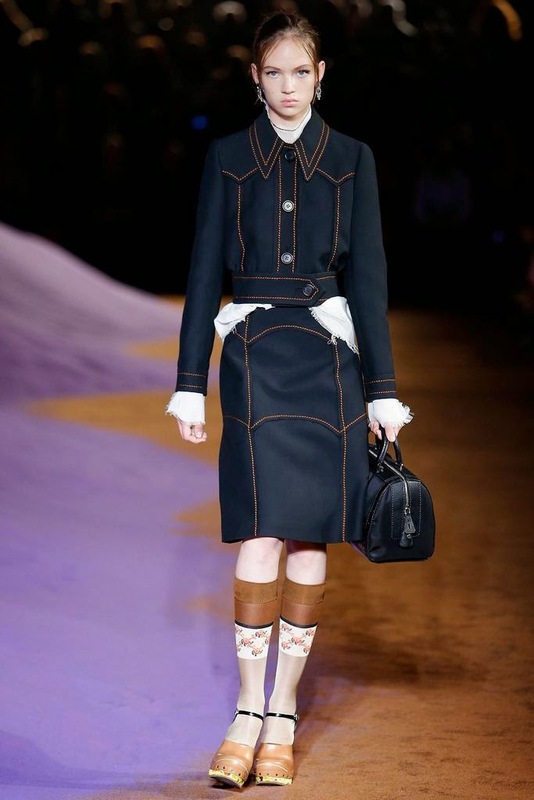 Ward's high fashion Prada take-over is all the more poignant given that her career was launched when Russell Marsh cast her at age fifteen in Prada's Spring/Summer 2004 show propelling her into the international spotlight. Ward went onto become once of the most celebrated and sought after models of her generation appearing in campaigns for Prada, Calvin Klein, Jil Sander, Balenciaga, Lanvin, and Dolce & Gabbana. 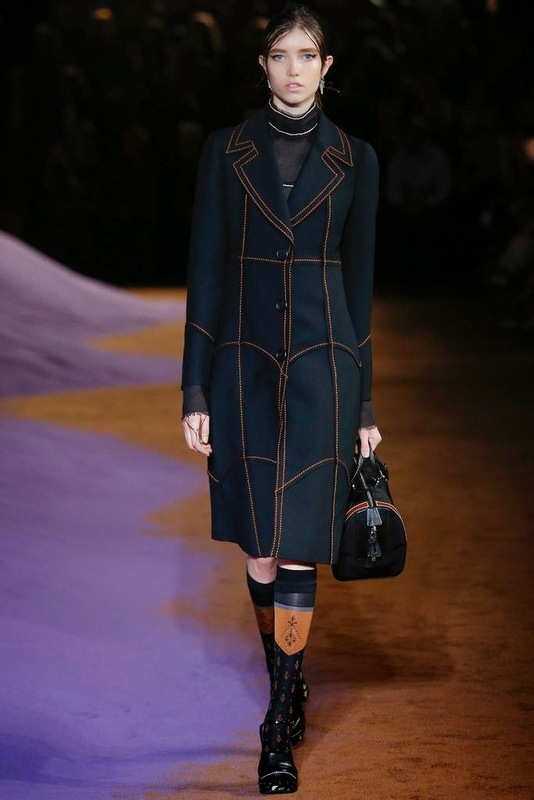 Ward's spectacular opening set the tone for a riveting line-up of Prada runway renegades. Red hot models of the moment Lexi Boling, Mica Arganaraz, Julia Nobis, Fei Fei Sun, Malaika Firth, Rianne Van Rompaey, Anna Ewers, and Grace Hartzel were led down the runway by supermodel Lara Stone. Diversity also figured prominently amongst the the new faces selected by Brokaw with the impeccable Aya Jones, Issa Lish, Emely Montero, and Dylan Xue featured alongside European beauties Elena Peter, Roos Abel, Morta Kontrimaite, Marta Placzek, Anna Grostina, and Adrienne Juliger. Brokaw's magnificent selection of Prada muses, past, present, and future, will no doubt be a talking point long after the dust from the Spring/Summer 2015 collections has settled.